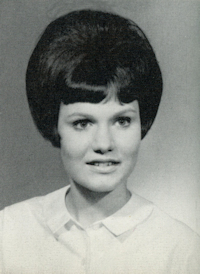 Obituary – Powers, Linda Sue (Waltermire) « Perry High School Alumni Association, Inc.
﻿Football Queen 66-67, Pep Club Vice Pres. 63-64, Band 63-66, Pep Club 65-67, Pep Club Sec. 66-67, Band Queen Att. 66-67, Football Queen Att. 64-65, Thespians 65-67, Jr. Play 65-66, Band Ensemble 64-65, Homeroom Sec. 64-65, F.T.A. 64-67, Christmas Vespers 63-65, Maroon Newsweek 66-67. In 1970, Linda completed a bachelor’s degree in Language Arts Education, followed by a master’s degree in English in 1993 and a doctorate in Curriculum and Instruction in 1999, all from Oklahoma State University. She taught at schools in Billings, Perry, Blackwell, and Fort Gibson, OK, and spent 23 years as an English teacher, among several other roles, at Ponca City High School. 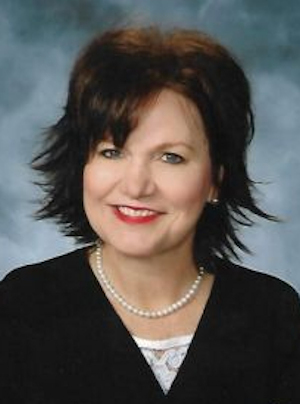 In 1995, Linda joined Ponca City’s Board of Education. She was the first female principal at Ponca City and Perry High Schools before retiring in 2009. Linda was a consultant for Literacy First Reading Instruction for over 16 years. The past several years, she taught classes at Northern Oklahoma College and oversaw student teachers for OSU. In 2017, Linda was elected to serve on the Perry School Board. She also held several volunteer roles, including Perry Alumni Association and Perry Study Club. Linda was a member of Leadership Ponca City’s Class of 2002, Oklahoma Principal’s Academy’s Class of 2004, and the Perry and Ponca City Rotary Clubs. She was named an Outstanding Young Woman of America in 1984 and Outstanding Secondary Teacher by the Oklahoma Foundation of Excellence in 1988. In 1989, she received the University of Kansas Recognition of Outstanding High School Teachers Award. Linda completed numerous publications, grants, and research projects during her career and was inducted into the Perry High School Alumni Association Honor Roll in 2017. Linda had a remarkable ability to build relationships, connect people, and influence thousands of students and hundreds of teachers. She loved to travel and toured over half of the United States, Mexico, Bermuda, the Bahamas, and Great Britain. A consummate host, Linda made any occasion with family special and memorable and never missed Wednesday family game nights. Linda is survived by her husband, Jack; son, Brett; and son-in-law, Jordon Lampe, all of Perry, OK. Surviving family members also include her brother and sister-in-law, Dr. Jim and Kathleen Waltermire of Perry; her sister-in-law Marilyn Waltermire of Perry; in-laws and lifetime friends, Melody Terry, Kimberly and Vic Tovar, and Page Powers; and numerous nieces, nephews, and other family members whom she dearly loved. She was preceded in death by her parents, Elmer and Sallie Waltermire, brother Fred Waltermire and her daughter, Leah Powers.